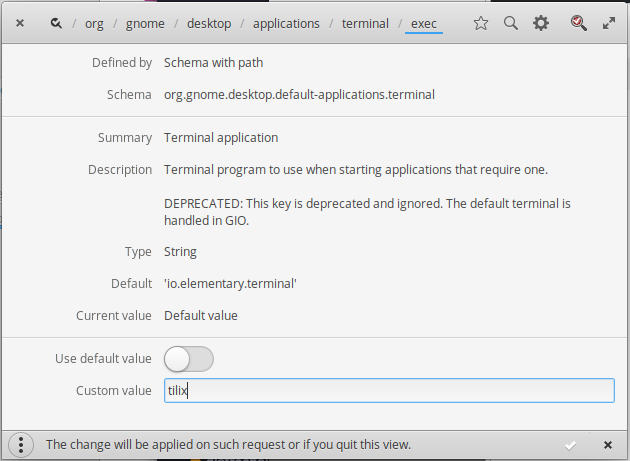 How to set tilix terminal as default? Click the check mark in the bottom right of the window. Click the check mark in the bottom right side of the Window. Not the answer you're looking for? Browse other questions tagged release-juno pantheon-terminal or ask your own question. Change pantheon terminal cursor type? How can I change the default Terminal font? Are there any alternatives to the default terminal, pantheon terminal?